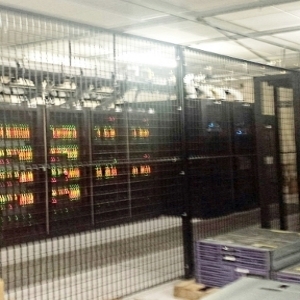 Data Center Server & Colocation Cages NYC. Stocked in Manhattan. 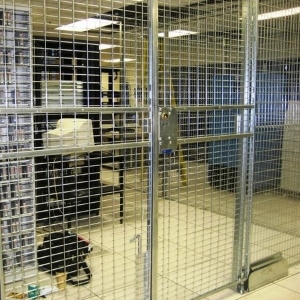 Protect & secure your Data Center server room and Colocation equipment with the lowest cost security cages. 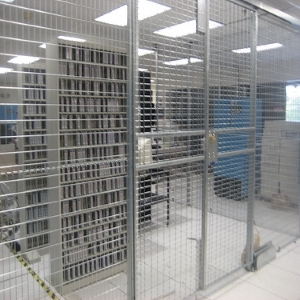 Made with robotics, LockersUSA offers superior security cages at a lower cost but with a lifetime warranty. 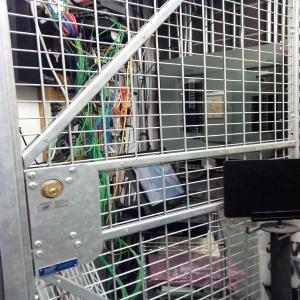 Our professional installation team is experienced with data server cage enclosures, including installations above raised floors. Our product managers provide on site free layouts and quotes on data center server and colocation cages. 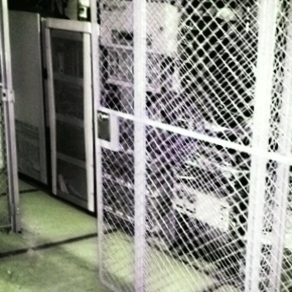 Server Cages NYC. 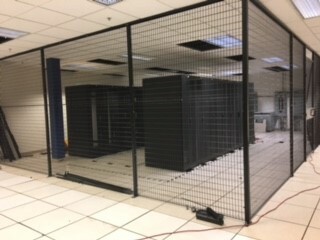 Server cages delivered and installed daily. Become compliant today. Free layout assistance. P(917) 701-5795. Hinged or sliding doors are available in 3’, 4′, 6′ and 8′ feet widths. Door frames are made with 2″ x 2″ x 1/4″ inch thick posts and welded to 2″ x 6″ inches foot plates to secure anchoring. Our install team use anti theft hardware and anchors for added security. 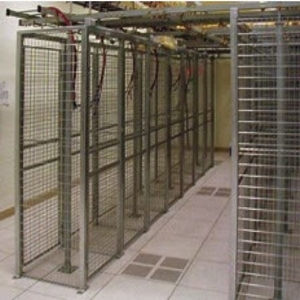 For added security, data server and colocation cages are also available in 1″ x 1″ #4-ga all welded wire grid openings. LockersUSA provides a wide variety of locking systems for data center server and colocation cages based on your specific requirements ranging from steel encased cylinder locks, card swipe, push button, or biometric locks. Interior push bars, Hydraulic door closers and mag locks can also be installed on your doors. Galvanized and Powder- coat Black or Gray available. Contact us for immediate assistance on your data center server room and colocation cages requirements.